10 captivating stories that will challenge kids in their everyday walk with God! With storyteller Jennie Dimkoff. 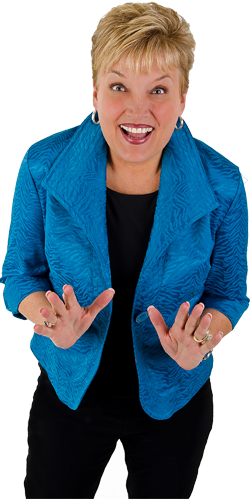 Jennie Dimkoff tells stories that touch kids' hearts. Kids' Time presents 10 exciting stories on 2 CDs! 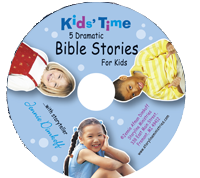 Five dramatic Bible stories for kids on one CD! 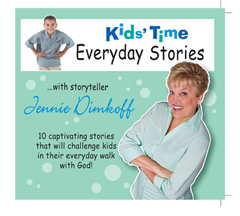 Storyteller Jennie Dimkoff dramatically retells stories from God's Word. Enhanced with music and sound effects, the stories come alive for the listener! Kids' Time presents five exciting Bible stories! "The Family That Trusted God"
Life Lesson: God helps us with our problems. Life Lesson: We can bring our friends to Jesus today. Life Lesson: Salvation; Jesus' love is unconditional. Life Lesson: God's protection; answered prayer. Life Lesson: Prejudice is sin; God loves everyone. Kids' Time is a division of Story Line Ministries. To place an order please download and fill out our order form to mail or fax to us.